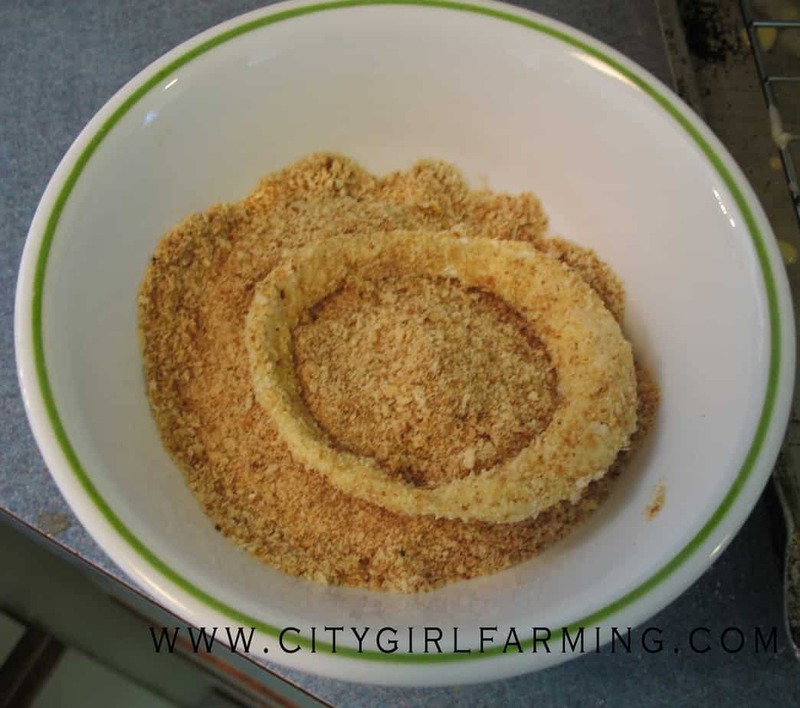 How to Make (Amazing) Onion Rings! Do you love onion rings? 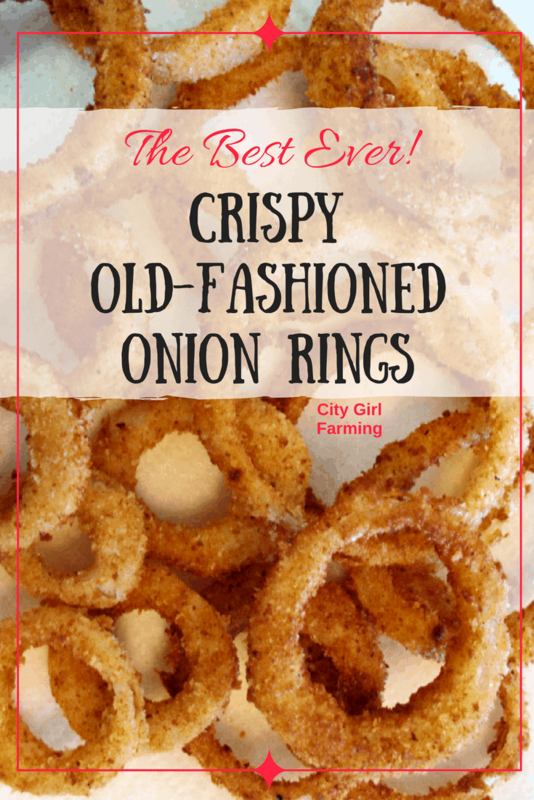 I mean, the real, crispy, old-fashioned homemade onion rings made with whole onions and real food? Okay, normally, I try to eat healthy. But once in a while, I get a craving for really good onion rings. Not the terrible ones you can buy frozen in the store with minced up onions and who-knows-what inside. But the real deal. Crispy on the outside, a whole onion piece on the inside. Mmmm. Sheer comfort food goodness. 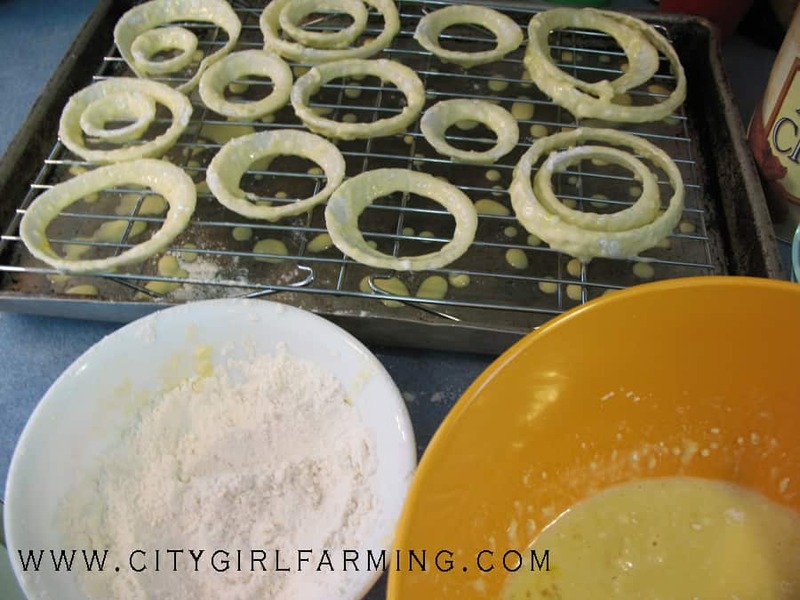 Here’s how you can make homemade onion rings with a crunchy outer crust and a real onion inside. They’re actually the PERFECT onion ring in my books. And they’re not hard. Heat the oil in a deep-fryer , if you have one. If not, use a frying pan (which is what I did). Separate the onion slices into rings, and set aside. In a small bowl, stir together the flour, baking powder and salt. Place approximately 1/4 of this mixture in another small bowl so that you’ve got 2 bowls of flour mixture. In a third small bowl, whisk together egg, milk. Whisk in the larger of the two bowls of flour mixture. Place bread crumbs in a fourth small bowl. 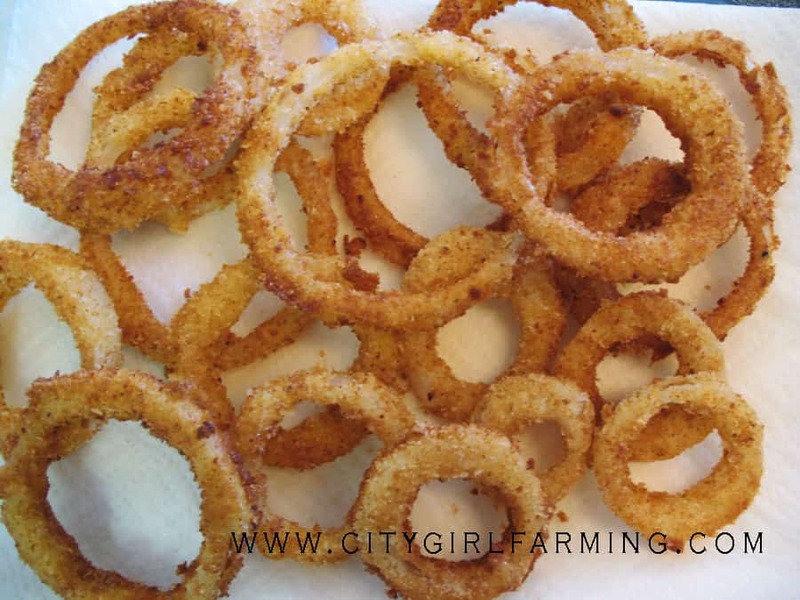 Fry the coated rings in oil, a few at a time (don’t let them touch). Cook for 2-3 minutes (depending on how hot your oil is), until they’re golden brown. Turn and cook other side. Remove from oil with fork and place on paper towels to drain. Salt (or other seasonings) as desired.